When it comes to nutritional quality, not only does preparing your meals and snacks at home give you much more control over what you are eating but it also means that you have complete control over the amounts of carbs, proteins, vegies and good fats that you consume diet on a daily basis. So if you find yourself with a spare few hours it could be time to get into the kitchen! As a general rule of thumb, a nutritionally balanced snack for an athlete will contain carbohydrate for energy as well as some protein and / or good fat for sustained energy release. Whilst carb rich snacks such as fruit, energy gels and sports drinks can be used to fuel shorter rides (<1hr) for any long training sessions or endurance events, more slowly released fuel is required. When it comes to making snacks at home, good carbohydrate sources include fruits, flours and dairy, protein via eggs, protein powder and dairy and good fats via nuts and seeds. Specifically, for keen cyclists preparing homemade fuel-rich snacks to enjoy on the bike can eliminate a significant amount of processed and packaged snack food from your diet which can only be a good thing. So here are some easily prepared snacks that are not only tasty, but are great sources of carbs and proteins to help fuel you naturally during long rides. 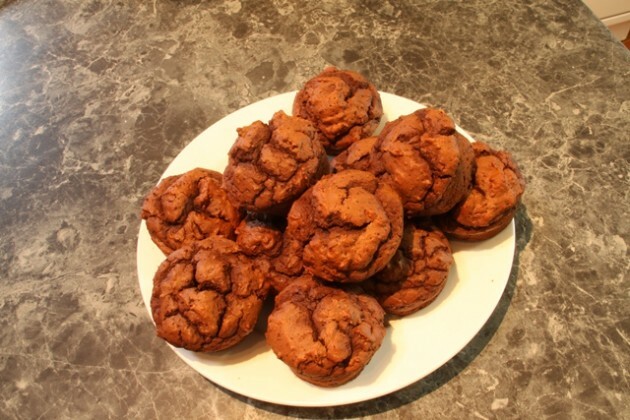 Mix almond meal, coconut flour and cocoa in a bowl. In a small bowl mix protein powder, pinch of salt, water, stevia and vanilla extract. Add to dry ingredients a bit at a time whilst mixing. Once combined, add the peppermint extract and honey. 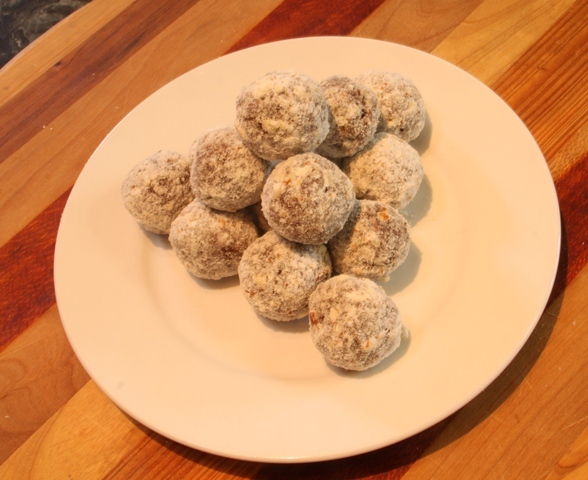 Use heaped tablespoons of the mixture to roll into balls and then roll in coconut flour and crushed almonds to cover the balls. Refrigerate for an hour until set and either keep in the fridge or an air tight container. With an electric mixer, slowly add wet ingredients until combined. Place into prepared muffin cases and place in the oven for 15-20 minutes or until just cooked through. Eat served warm! Makes approximately 12 muffins. In a food processor, combine walnuts, pumpkin seeds, cocoa and protein powder. Process until combined and walnuts and pumpkin seeds have broken up. Add the fresh pitted dates and process again so that the mixture starts coming together into a ball. Add a touch of water 1 - 2 tablespoons if you need to so that the mixture comes together. 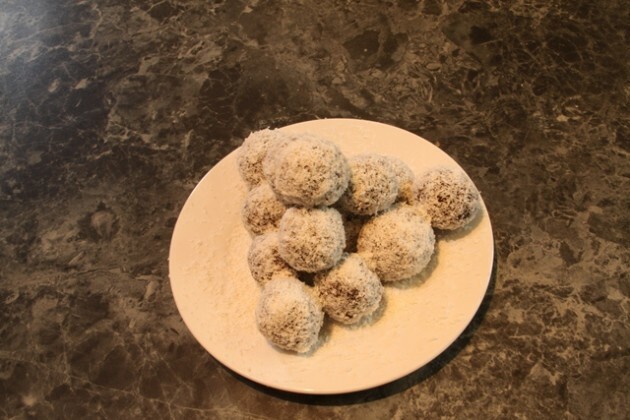 Roll mix into balls and then into coconut. Keep refrigerated for up to 2 weeks. 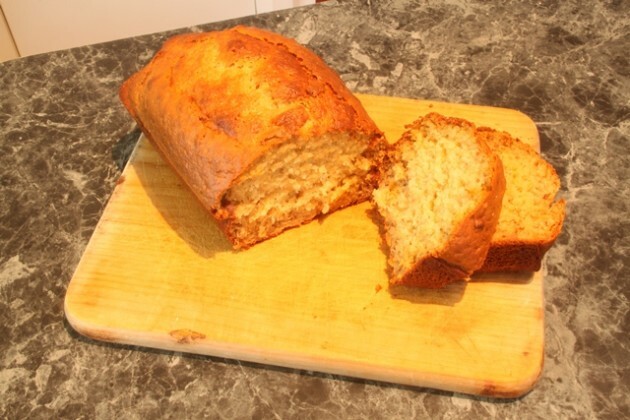 Mix flour, bicarbonate of soda, sugar in a bowl with mashed banana, vanilla, eggs, milk and oil. Spoon into loaf tin and bake at 180°C for 50-60 minutes until cooked through.